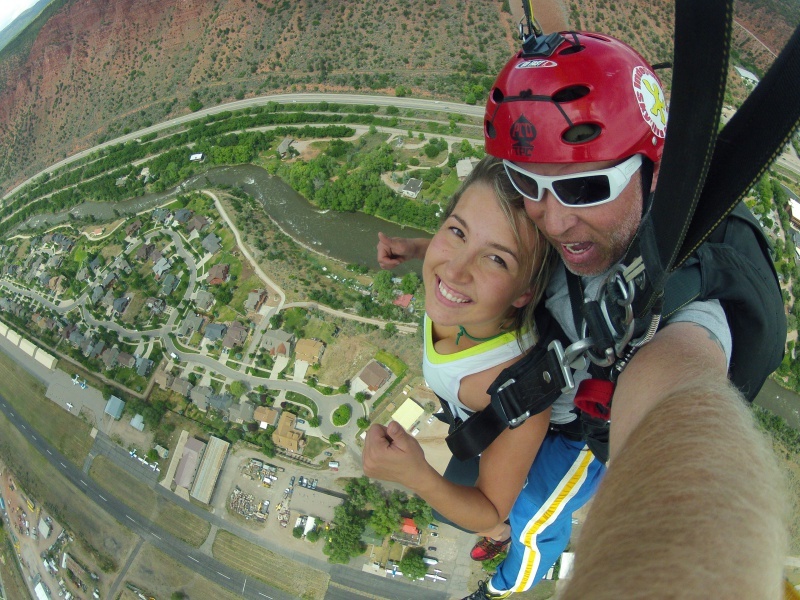 Roaring Fork Skydivers is one of Colorado’s finest skydiving facilities. We are located in beautiful Glenwood Springs, Colorado serving Glenwood, Aspen, Carbondale, Basalt and the entire Roaring Fork valley! Just 1 hour from Vail or Aspen. 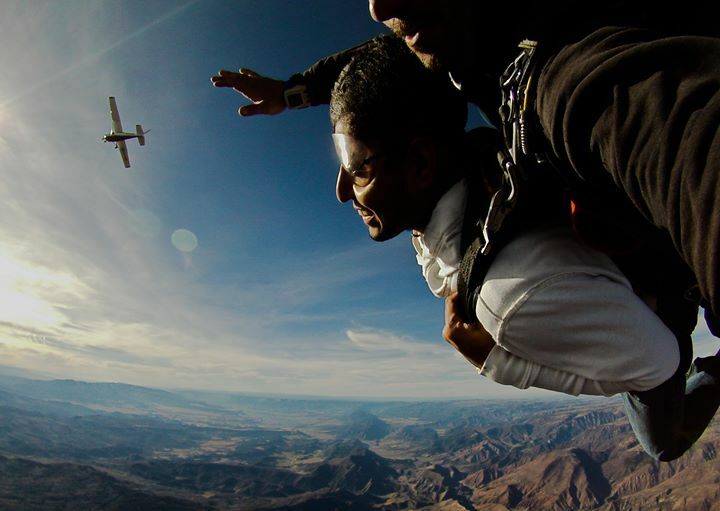 We offer tandem skydiving, skydive training, and experienced skydiving. We have an outstanding safety record and a fun professional staff. Here at Roaring Fork Skydivers we take the time to give you a relaxed, safe, skydiving experience you will never forget! Call today to book your skydive adventure – 970-364-3737. Whether it be your first tandem jump, certification course, or an experienced skydiver our facilities can accommodate you. The most amazing thing I’ve ever done. Hope to come back soon. Thanks so much!!! Awesome instructor! Very competent, and friendly. Thank you! I’m addicted! Can’t wait to jump again!! Check out our tandem/photo special! !